Comment: NO highlighting or underlining and the binding is tight. Some wear but overall good condition. Ships directly from amazon and is eligible for prime or super saver (free) shipping. First published fifty years ago, How to Raise Good Catholic Children is a rare treat for today's parents: a wise and readable book on child care that derives its wisdom from the Catholic home rather than from psychologists. Because it's rooted in experience, not in theory, nothing that Mrs. Newland suggests is impossible or extraordinary. In fact, as you reflect on your experiences with your own children, you'll quickly agree that hers is an excellent commonsense approach to raising good Catholic children. irst published fifty years ago, How to Raise Good Catholic Children is a rare treat for today's parents: a wise and readable book on child care that derives its wisdom from the Catholic home rather than from psychologists. Let Mrs. Newland show you how to introduce even your littlest ones to God and develop in your growing children virtues. We are using this book in our book club and have found it inspiring as mothers. It brings up some good points with practical ways to implement them. For example, we all know we need to teach our kids to see Christ in others, but that can be hard to explain when there is someone that is really mean to them. Page 50 gives a great way to explain that when someone wrongs you they are hurting Christ even more than they hurt you; we need to use that opportunity to pray for that person. The author of this book had 7 children of her own and uses her own experiences for the basis of the book. I highly recommend it---good for couples to read together! 4.0 out of 5 starsFor virtue. Lots of good tools for thinking about family life from a faithful filled and virtue focused perspective. 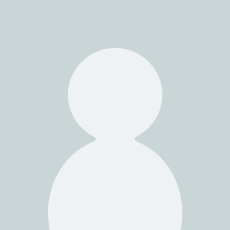 2.0 out of 5 starsBeware of this severely edited version!!!! Sadly, this wonderful book was poorly edited in a misguided attempt to "update" the text. It is still a great reference, but I advise traditional Catholics to find the original text published by the same author under the title "We and Our Children". The traditional Latin Mass was explained in beautiful detail in the original version, but in this edition, most of the descriptions were eliminated to make it "modern" and match the new Mass from the 1970s. I hope the publisher will reproduce the original, unedited version for those who appreciate the traditional liturgy. I bought both books and one can vividly see how much of our Catholic heritage we have lost when one compares the two editions and sees how much was eliminated. Mary Reed Newland is an eloquent writer with many practical and simple ways to explain the faith to children. I've already used some of her ideas in my spiritual life and my daughter's, and I'm only on chapter 4. It's refreshing to read her work as I sadly watch so many kids today not being taught the beauty of their faith and their purpose in life. I can't wait to read more! I was looking for a book that specifically addressed the training of Catholic children and I definitely found it in "How to Raise Good Catholic Children"! 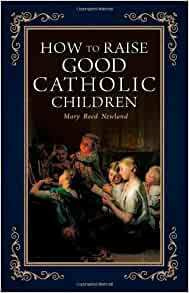 Mary Reed Newland writes wonderfully in this detailed how-to book on raising Catholic children. The book was written 50 years ago, but it is as relevant today as ever, save for a few liturgical differences. Her style is very kind and gentle. It makes me wish that I was one of her children and had grown up with her teachings! She is very specific in how to go about teaching such things as love of the Rosary and the Rite of Baptism. She gives examples of what to say and how to say it, but the way she does it is very gentle and subtle. This is not an in-your-face, do-it-my-way book. It's a great read and puts me in a great frame of mind to teach my own children. If you are looking for guidance in how best to train your children in the Catholic faith, this is definitely the book for you! 5.0 out of 5 starswhat a blessing! This book was a gift from the Godmother of my youngest of 5 children. It is full of wonderful insights and examples. I use it as more of a reference than anything else, for my college-age daughter who calls with disgust at what professors try to convince her is taught by the Catholic Church to questions she has as she struggles between this world and her morals, and I turn to it for situations that arise all the way down to my youngest child of [..]. I also teach [...]CCD, and use it for so many lessons rather than the watered-down text the Parish uses. It is a MUST for Catholics with children! Great Book. Any parent who has ever wondered "why can't prayer time be more prayerful" should read this book. From good behavior at Mass, love of the Rosary, and true heartfelt love of God, this book is a must have for any parent who wants to help their child grow closer to Christ.